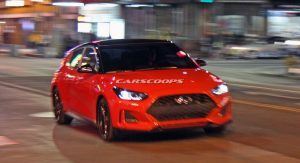 The North American International Auto Show is just days away and Hyundai has released a new teaser video of the 2019 Veloster. 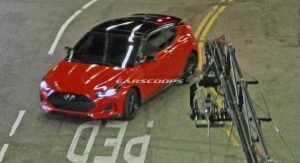 While we’ve already seen the model undisguised, the latest clip gives us a pretty good glimpse at the upcoming hatchback. 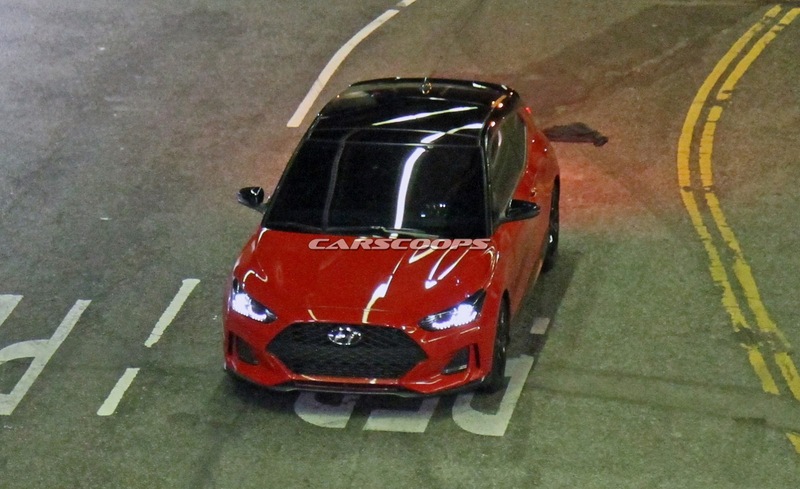 As you can see, the car will have an aggressive front fascia with a prominent grille, large air intakes, and LED-infused headlights. 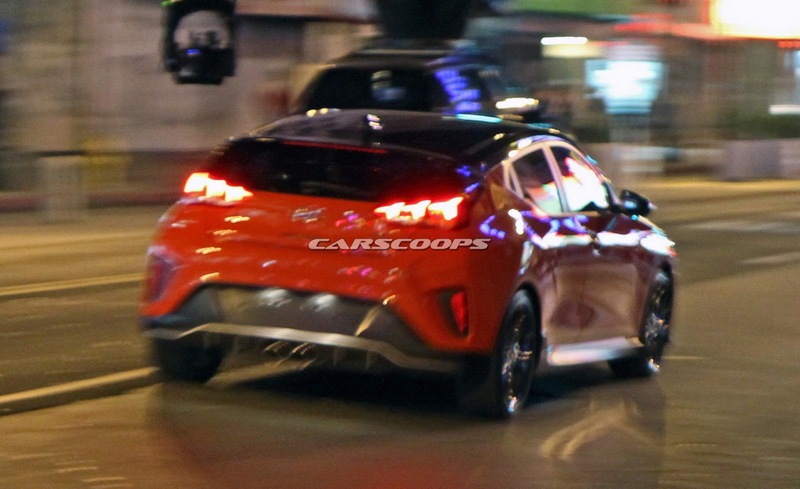 Moving further back, there’s a rakish windscreen and flowing bodywork. 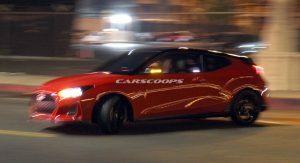 Designers also installed a center-mounted dual exhaust system, an aggressive rear diffuser, and slender taillights. 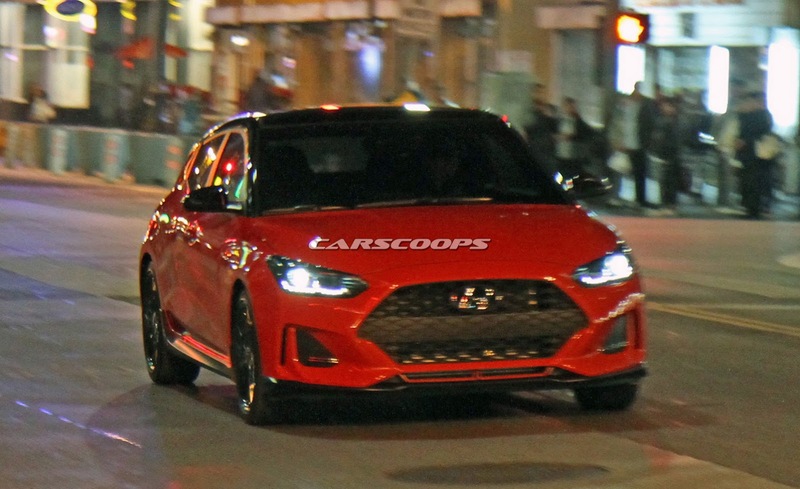 The sporty styling will continue in the cabin as a previous sketch suggested the model will have an asymmetrical dashboard with a ‘floating’ infotainment system. 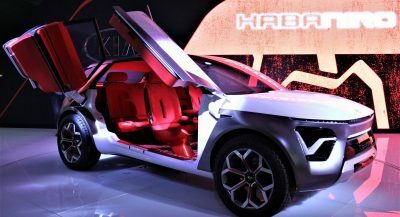 We can also expect a stylish steering wheel, driver-focused controls, and unique switchgear. 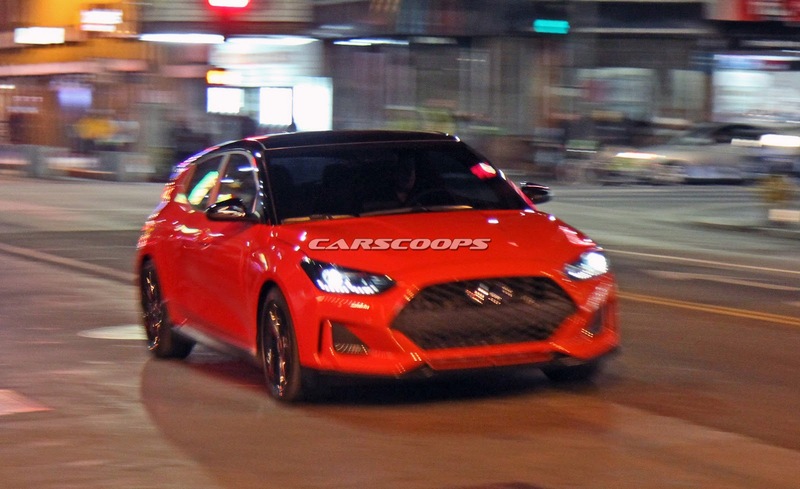 Hyundai has already confirmed the Veloster will be offered with two turbocharged engines that have displacements of 1.4- and 1.6-liters. 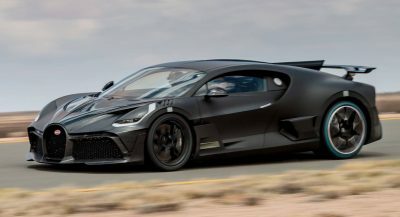 Depending on which engine is selected, it can be paired to either a seven-speed dual-clutch gearbox or a six-speed manual transmission. 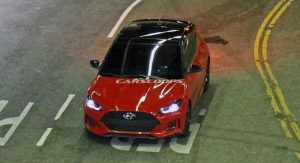 The redesigned model is also slated to offer several high-tech features including a heads-up display, adaptive cruise control, and a collision warning system. 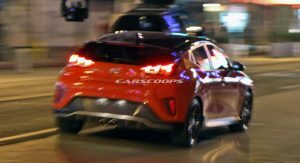 Other notable options will include high beam assist and a lane departure warning system. i agree, its about time. better than the previous I suppose. 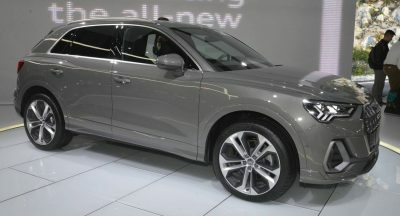 but past its looks, “like it or hate it” what I don’t get is, why have this and the Elantra GT? 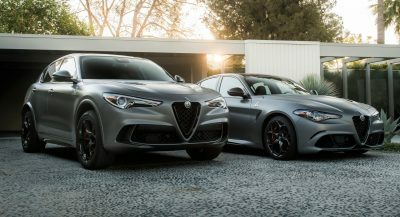 they compete with each other. 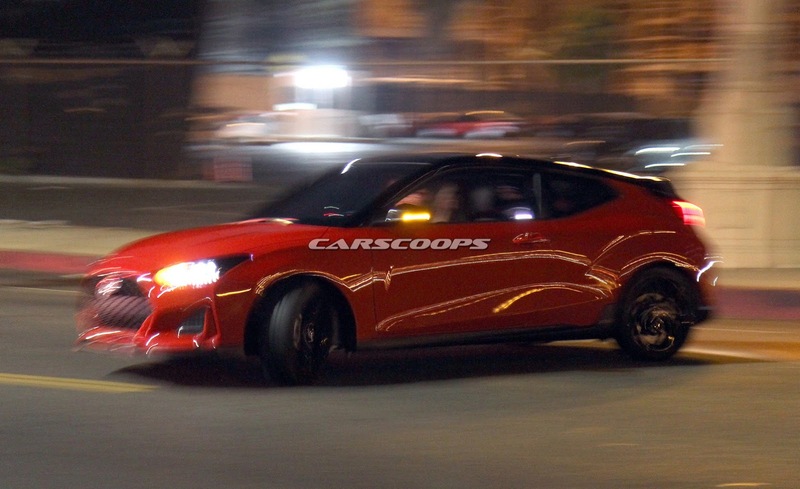 Those lines above the wheel wells recalls the original Tiburon 20 years ago. 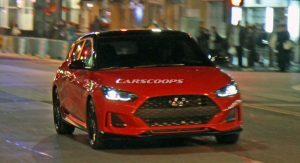 Well better show us specs and MSRP soon. I really just wanna draw some lipstick around that fishes mouth and call it a day. 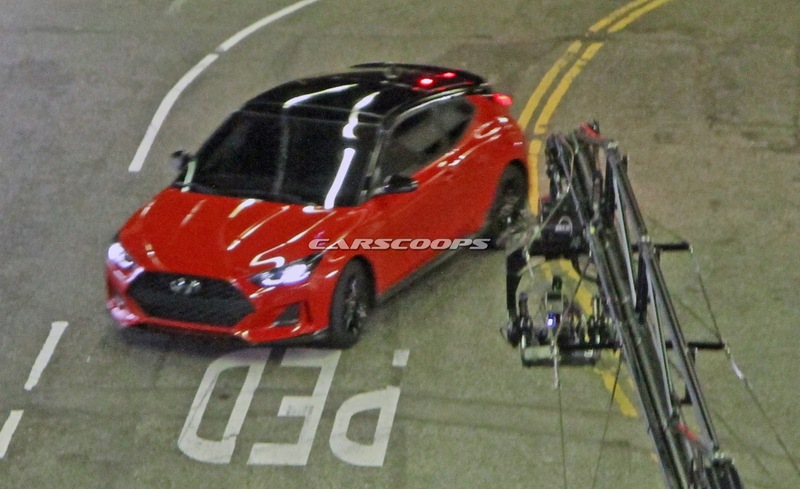 “Hyundai Thinks You Haven’t Seen The 2019 Veloster, So It’s Still Teasing It”.